We all love our feline pals, however, there are many things we still do not know about their sometimes strange behavior. 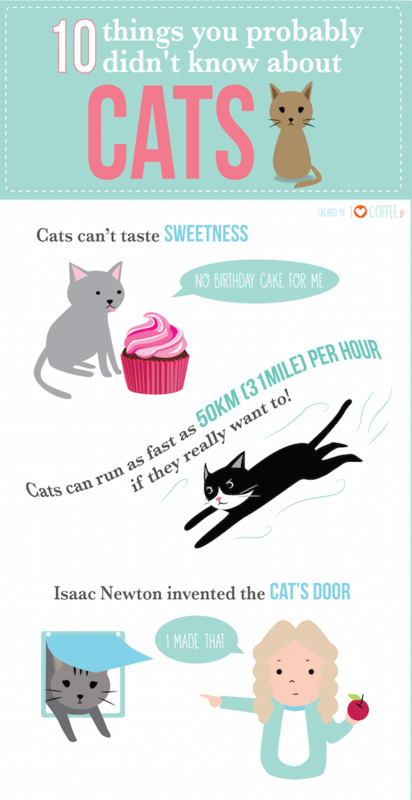 In light of this, Ryoko Iwata has created an infographic detailing 10 unusual facts that you may not know about cats. For example, female cats can become impregnated from several different male cats at once. Learn more about cats in the infographic below and click on the images to view the entire visual.